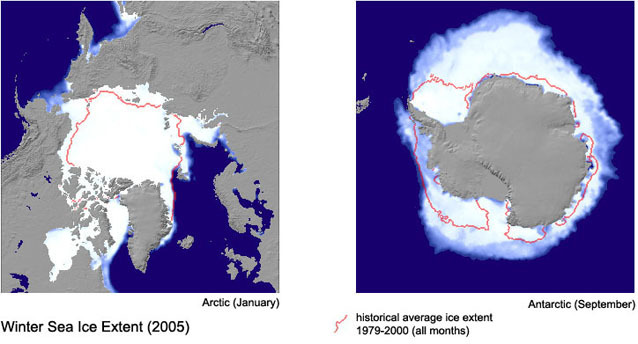 These maps show satellite-observed sea ice concentration for both poles at their maximum extent, compared with the historical average extant throughout the year. A standard shaded land image provides the geographical context. Source data: NOAA SSMI Ice Concentration, ETOPO2 digital terrain.